Btw thanks for the link of the charts, ordered a 3 pack ! Thanks Bob, it was a very wild beast to tame. It is still a little unruly . Nice to hear that these models come with a reputation so it was not just me:-). It is great to have sound on it. It adds a another dimension. Martin, it most certainly would fit a 0-4-0 if it not already have some good pickup. Works great! Was that for Bob or me? Charts? I've accumulated a big stack of Westwood kits, but I need to tackle my Ambroid and LaBelle cars first for practice. 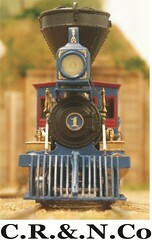 Maybe then I can think about an Arbour Models locomotive. Thanks for sharing your models, Hakan! Your 2-8-0, like the passenger cars above, shows impressive modeling skills. I'm especially intrigued with the lettering and lining on your models. In an earlier post you noted that you do the artwork for decals using Coreldraw. But could you explain how you print them and what paper and equipment you use. Thanks. Thank you for the kind words, Frank. I have two ways to print them. One is a professional printer service to whom I send my Coreldraw files and they print it on decal paper and send it to me. The second as the printer service has increased their prices I acquired a second hand ALPS printer that can print white. Unfortunately the printer does not work properly as the feed don't align the paper (I print in layers) properly so the next layer comes a little offset. It is not by much although my striping gets a little wider then I want to. I thought I would show some progress pictures. The going has been tough and now I have stopped right in my tracks. I came to the conclusion that it was better before I continued on the landscape around the logging/redwood area to first paint the background. As you can see I have painted it up to the Redwood grove (the part between the arrows). What is bothering me now is the background behind the trees (see encircled part) where I want make the illusion of a thick forest one cannot look through. Is there anyone on the forum who has done something like this before? Any help or suggestions very much appreciated as I'm stuck . I have one idea and that is to paint in layers. The most distant trees with foliage painted very light in the first layer and then paint a new layer of trees above that a little darker and the next layer even darker until I have the colors and intensity of the model trees. The area between the arrows will contain the big trees. 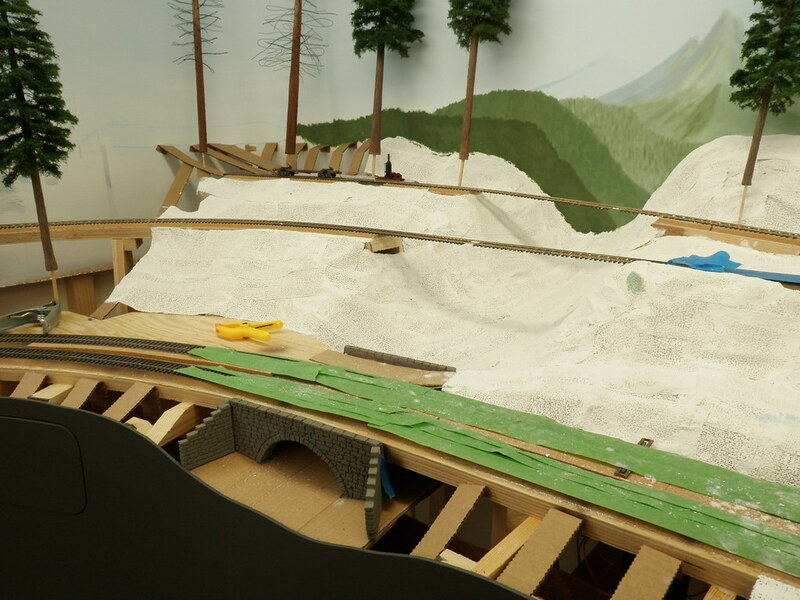 The foredrop is in place and the trackage that was visible before now is hidden from view. The track is accessible through small hatches held with magnets. Here is there to be a fast running stream running under three bridges. The lowest a stone bridge, the middle one a trestle and the upper one will be made of logs. The area at my spooky industry has received a dead tree. The area in the ravine has made some progress. A lot of detailing stuff and greenery still to do but the first train has pulled up to the station. Yes charts, package came this week already buiding one..
Nice additions to the layout, looks good ! H�kan, your layout is really coming along nicely! What did you do with the little barn that came with your Waxworks kit? Martin I now see you meant the waggons, I'm a bit thick sometimes (or most of the time my wife says ). Which one did you buy? And thank you Martin and Greg for the kind words, it means a lot to me. I have the barn but it has not been built yet. I haven't planned all the buildings yet on the layout but I think of using it in the harbor scene. I'm thinking of doing a building thread on soldering together the Micron Art buckboard. Could there be some interest in such a thread? H�kan,I have built some of the Micron Art automobiles in the past. As I recall they did not have to be soldered. A lot of bending the brass into shapes is what I recall. And I just used CA glue for my models,but would love to see how you plan in soldering these little gems together. Nice additions H�kan. 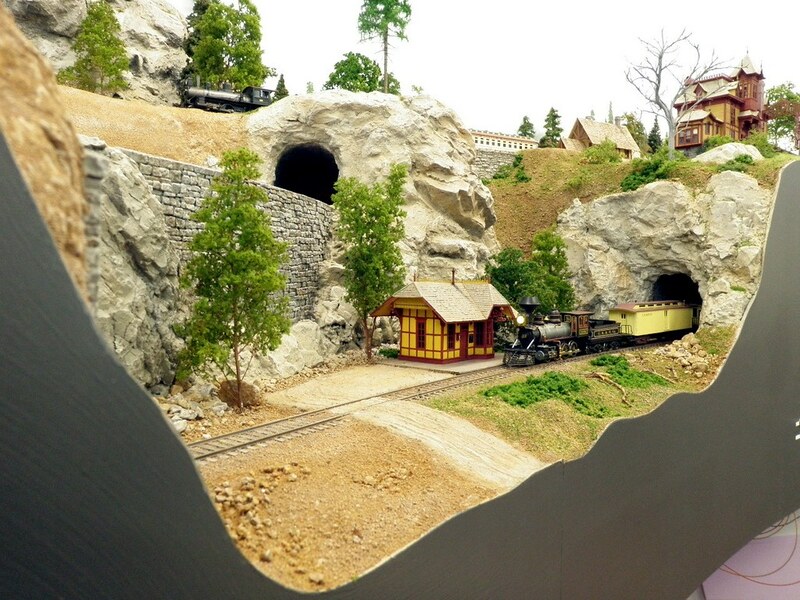 The new depot scene with the nicely built Grizzly Flats Station and the stone retaining wall really look sharp. Evergreen are looking good too. Your scenery is impressive. You have truly captured the look of the Pacific coast--which differs so greatly from where I live on the opposite end of the continent. 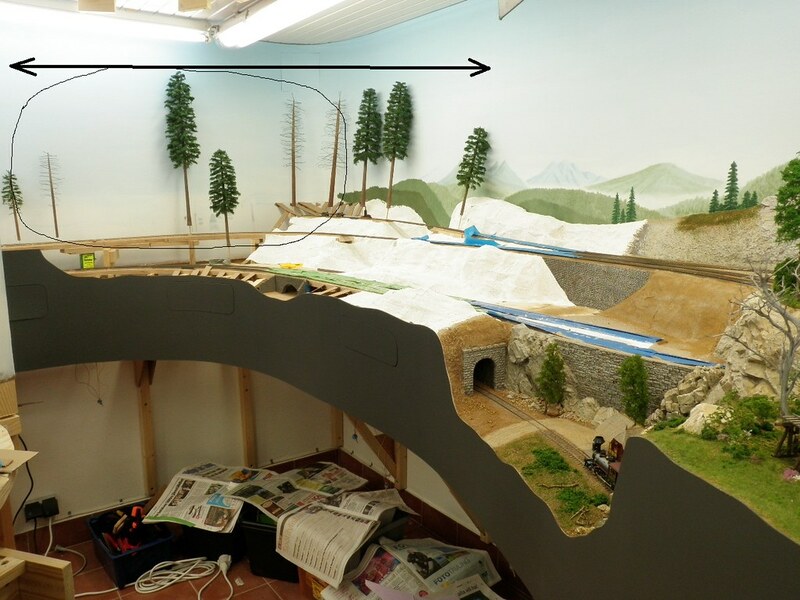 Given the high degree of skill shown by Scandinavian modelers like you, Troels Kirk, and Pelle Soeeberg, who have come to the attention of North American model railroaders through the internet and press, I would like to learn more about what other modelers in Denmark, Sweden, and Norway are doing. I have discovered the existence of the Norwegian quarterly railroad magazine MJ-Bladet, but I know of no way to get copies here in the U.S. Can you suggest ways of gaining familiarity with the work of other Scandinavian modelers less well known abroad? Hi Greg, I'll try soldering but if that don't work I'll go for CA. Sorry again Martin, I'll must get a grip on myself . Thanks Bob and Frank for the kind words. Here is a example of a building thread for a brass build. Thanks for the helpful links to sites featuring Scandinavian modeling. I look forward to exploring these web pages. Speaking of exploring the work of others, are you familiar with the modeling of Don Ball and Paul Scoles? Like you they model Pacific coast railroads of the 1890s. Don's Stockton & Copperopolis is based on an actual railroad built in the mountain interior of California, whereas Paul's Pelican Bay Railway & Navigation Co. is a fictional rendition of various Pacific narrow gauge lines. Both are very accomplished craftsmen, as you can see on the following web sites. 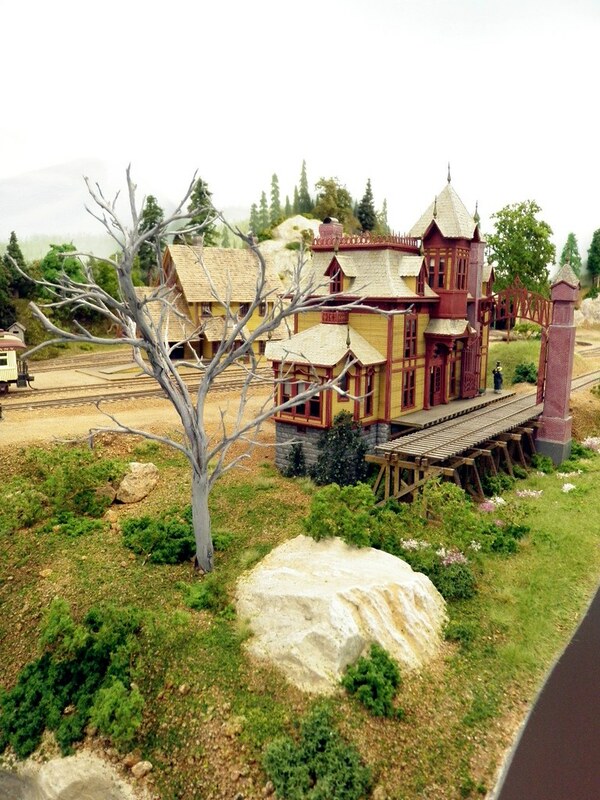 Craig Bisgeier is another outstanding modeler of the 1890s period, though his focus is on an historic line that ran in New England (western Connecticut). He too has a web site at: http://www.housatonicrr.com/ .